Driving south along Route 66 I made my way into Barstow and was looking for interesting places to explore. I noticed a small community on my map nearby that sounded familiar. After a few moments I placed it. 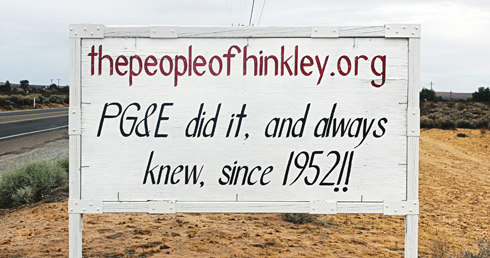 The town was Hinkley, California and its notority came from Erin Brockovich and the groundwater contamination case against Pacific Gas & Electric. I pulled up to a turn off and immediately noticed a sign about PG&E. I followed the road a bit further and almost thought I'd gone the wrong way. There's not much left in Hinkley today. Not surprisingly, it seems like most people left after the settlement from PG&E. 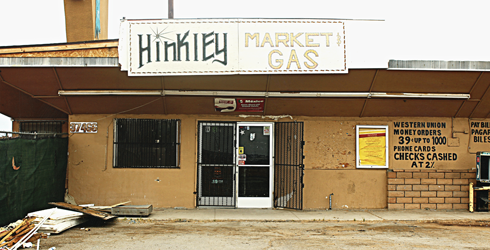 I stopped to grab a picture of the Hinkley sign above what I thought was an abandoned store, and was then greeted by Bill, a man wearing a makeshift button stating that he was the mayor. Whether he was the mayor or not, Bill was pretty friendly and seemed like he was still enjoying himself from the night before. He was interested about the pictures I was taking so I told him about my road trip around the desert. In return he told me about the town, insisted a few more times that he really was the mayor, and our brief interaction ended with me requesting to snap a few pictures of him. Were it not for the encounter I wouldn't have had much to share about this nearly abandoned community. 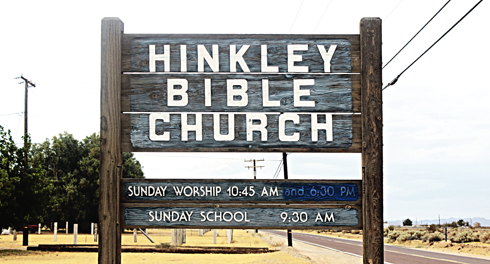 Bill made my detour to Hinkley memorable. 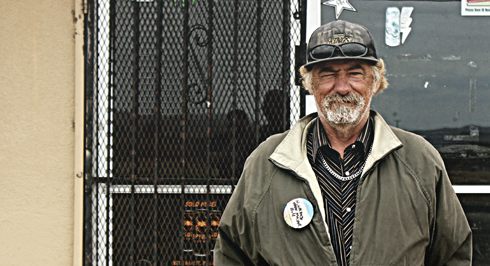 Hey, my name is Robert, and I live in Hinkley, not too far from the Market and the church you photographed. And No, Billy is not the mayor. There's no mayor. He's one of the local homeless people who stroll around. On a side note, the Market is no longer here. It was sold to PG&E and torn down. Thanks for the update about the market, Robert. I think I would've been more surprised if you said Bill actually turned out to be the mayor lol. I live in hinkley too. How old is that pic? The market was torn down in 2014 I think. I also sold my 20 acres to PG&E. 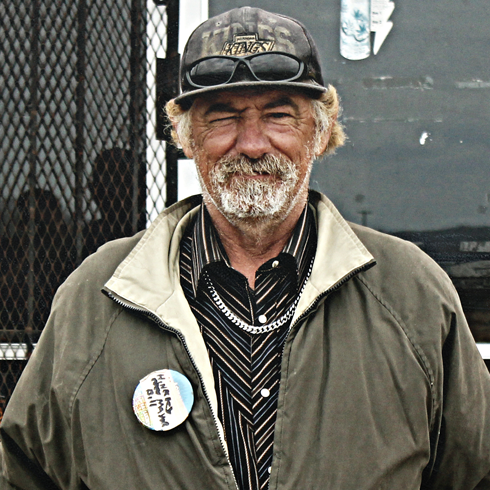 Billy worked at the Hinkley store ever since I moved there in 2000. He slept in the store room behind store. They didn't pay him, just let him stay there. He did odd jobs for me. Just sad. Anyway the store is gone but bill is still hanging out in hinkley. He's the self proclaimed mayor true. But he has nothing else so why not. He used to dress up as Santa every year. He has a good heart & won't hurt a fly. Hey, I have no idea if you would mind, but I do photography myself. I wonder if we could collab.